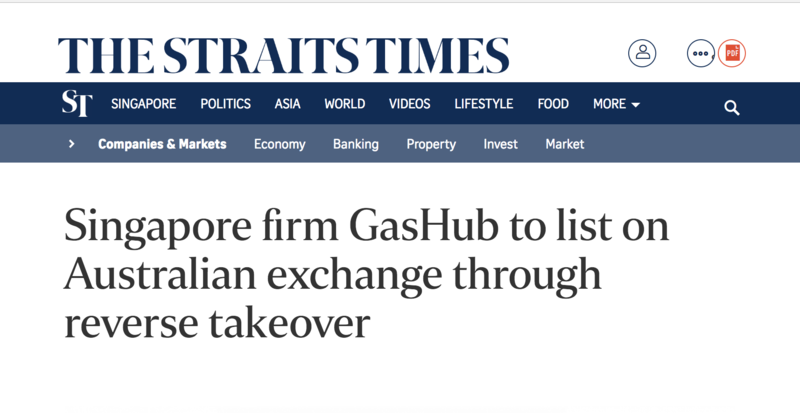 SINGAPORE – GasHub Group, one of Singapore’s largest gas pipeline and energy services specialists, announced on Wednesday (May 24) plans to list on the Australian Securities Exchange (ASX) via a reverse takeover (RTO) of Australian-listed Raffles Capital Ltd (RAF). Raffles Capital will issue 150 million new shares to GasHub shareholders, valuing the company at A$30 million (S$31.1 million), and 50 million shares to the public at A$0.20 per share. The A$10 million to be raised from the public offer will support its innovations in energy solutions and grow its operations in Singapore and the Asia Pacific. Specifically, the capital to be raised will be used to grow the engineering division and establish it as the dominant stable gas pipeline service provider in the growing Asia Pacific region, said GasHub. It will also be used to further develop the technology division and roll out GasHub’s patented 3GEX System. Once the proposed RTO of Raffles Capital is completed, its board of directors will resign and the company will change its name to GasHubUnited Holding Limited, with Mr. Lim as group CEO and Mr. Sydney Kwan as non-executive chairman. Set up in 1991, GasHub had an annual revenue of S$10.8 million and a net profit of S$650,000 as at end-December 2016. Technology Pte Ltd (Technology), a developer of high-technology energy efficiency products.